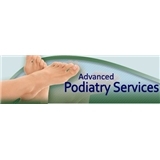 Advanced Podiatry Services (Forest Hills) - Book Appointment Online! Hello, and welcome to Advanced Podiatry Services. We are honored to have you with us and hope to help you with any discomfort or pain you might be having. ?We are proud to provide a state-of-the-art facility for the highest quality foot care available. It is one of our top priorities to protect the well-being of our valued patients.